BCLNA will work with you to design and deliver an industry contact plan by combining a timely program incorporating a menu of events, programs, awards and advertising opportunities that will manage the return on your investment. Industry Commodity Meetings: A great way to access your market – let BCLNA members know what your company has to offer. Host or sponsor a Grower, Landscape or Retail meeting in 2019 and meet owners and managers face to face. Certification: Show your support of training professionals in the Horticulture industry with certification sponsorship. Over 40 landscape companies put their staff through certification training in 2015/2016. Landscape Awards of Excellence: Align your company with excellence! LAE sponsorship exposes your company to 175,000 customers over a 10 month time-frame. Annual Golf Tournament: A fun relaxing day with the opportunity to connect with 144 Business owners and decision makers! Network on the green or show your appreciation to your clients with a dinner sponsorship. Member Awards: A chance for sponsors to show their commitment to Industry and recognizing outstanding members for their dedication. Advertising : Via the BCLNA website and annual Buyers Guide publication. Industry Christmas Party: Thank your clients and celebrate the industry. Multiple sponsorships available for the final bash of the year. Landscape, Retail, Grower and Suppliers come together for fun, games, charity and more. 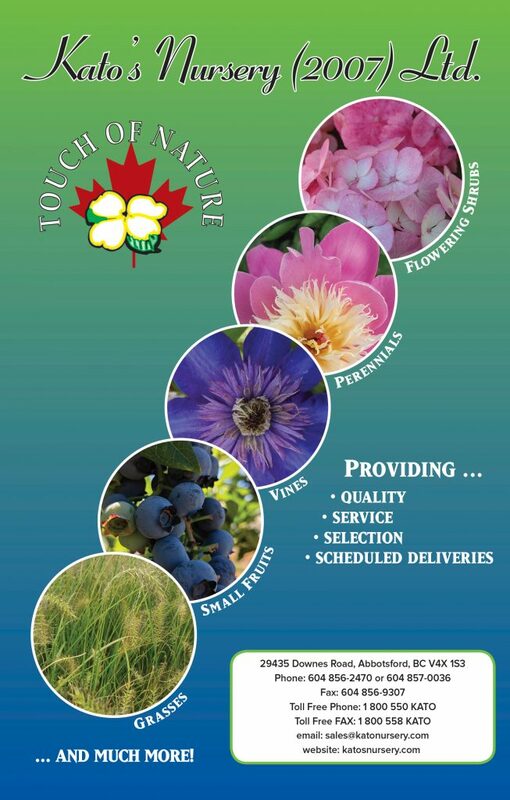 CanWest Hort Expo: Book your booth for the upcoming CanWest Hort Expo September 25 & 26th at Tradex! Once you are booked let us work with you to increase your show profile with sponsorships that suit your business. Contact Karen DeJong 604-575-3504 for booth information. Contact Heather Petrie at 604-575-3500 ext 112 to discuss your sponsorship and advertising opportunities today or fill out the form below!